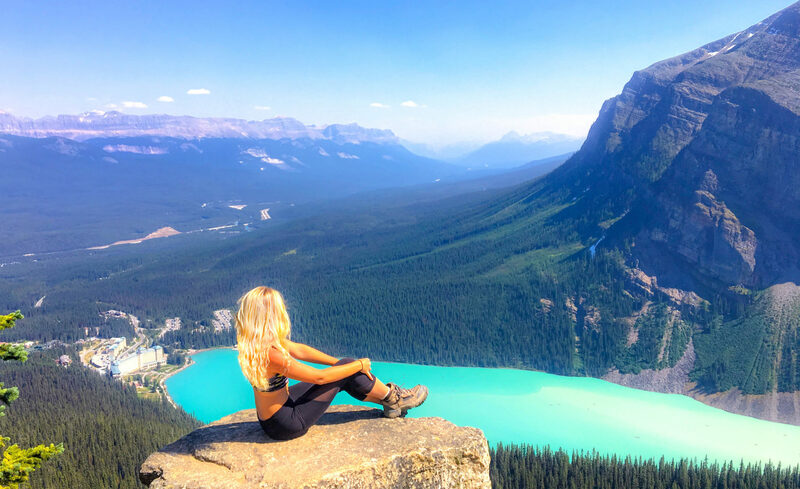 The iconic Lake Louise is internationally known for its turquoise waters, jaw-dropping glacial mountain scenery and numerous opportunities for outdoor recreation. 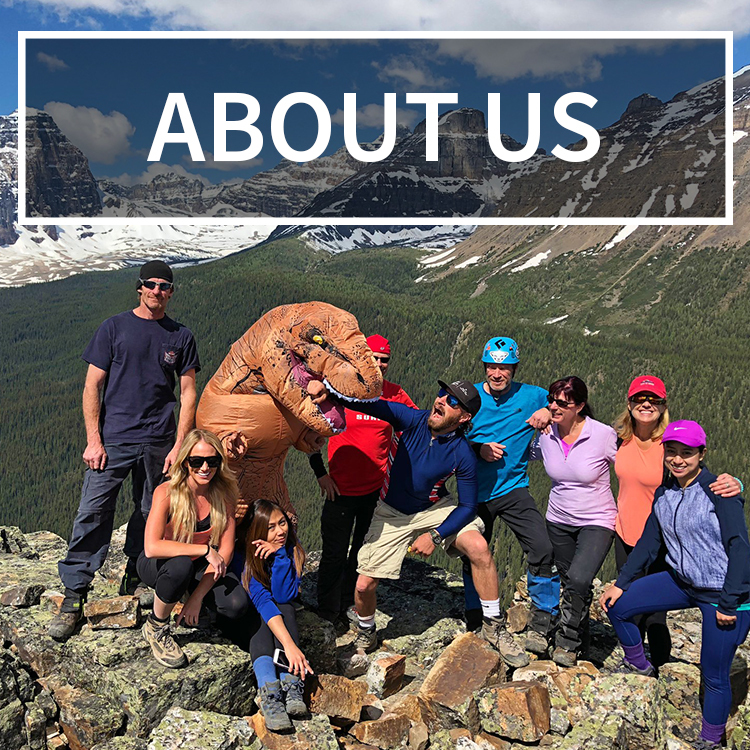 Each summer, people from all over the world travel to Banff to experience what Lake Louise has to offer, and for good reason. I have always been drawn to the magical lakes of the Canadian Rockies, and make it a point to spend time there whenever I am in Canada. As much as I love spending time at Lake Louise, sometimes the crowds at the lake can get overwhelming. So, I decided to get walking and view the lake from a different perspective, where I could experience some peace, solitude and otherworldly views from above. Since I only had a few hours left to spare in the park (I was on my way back to California and on a bit of a deadline to hit my next destination) I decided to take the trail to the Little Beehive lookout point, which gives a stunning view of Lake Louise surrounded by towering mountains, glaciers, and the two other lakes you pass along the hike. But first, I needed a snack. 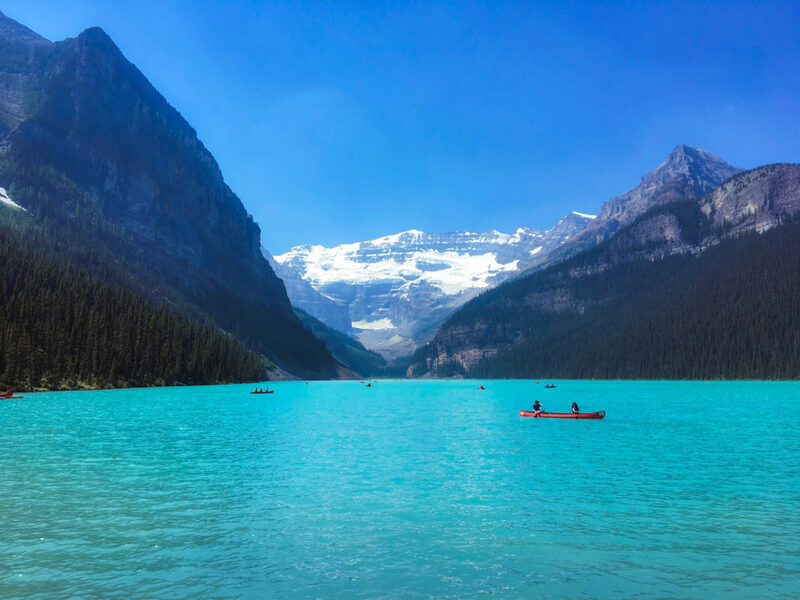 The only place within a short walking distance, depending on how hungry you are and how fast you walk, is the grand Fairmont Chateau Lake Louise. At this point of the day it seemed there was no end to the crowds pouring in, so there was no way I was going to wait in line at any of the restaurants. Looking back, I highly recommend you bring your own lunch, which you can enjoy at the top of Little Beehive. I ended up buying a smoothie and a few snacks at a little shop inside the hotel and went on my way. 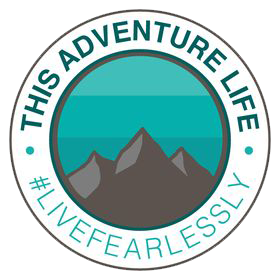 ​The trail is easy to find; as with any trail in this area, there are numerous signs pointing you in the right direction. To begin your hike, just follow the trail around Lake Louise to the right. You will see a fork in the trail; follow the trail that goes up into the woods (don’t worry, just follow the sign that points to the Lake Agnes trail). Once you are steadily hiking uphill, you will encounter a few easy-moderate switchbacks that lead to the first attraction, Mirror Lake. After about 2.6 km, you will arrive at Mirror Lake, a small and shallow turquoise alpine lake set among the towering peaks and trees. It’s located just below Lake Agnes and the Beehive. There were a few people having their afternoon picnic here, or cooling off their feet in the cool water. I took a few photos and kept on the trail. ​From here, keep right on the main trail towards Lake Agnes. You will pass a waterfall, and just a bit farther is Lake Agnes and the famous tea house. I highly suggest you bring cash with you, as I sadly found out that my credit card was not accepted, and I only had a few coins from the States. Lake Agnes is a beautiful shade of blue, a much deeper color than Lake Louise. 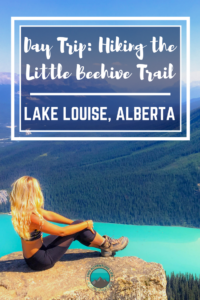 The surrounding area is really well-developed and leads to various other hikes, such as the Plain of Six Glaciers and Big Beehive. After exploring Lake Agnes, I was off again to check out the views at Little Beehive. 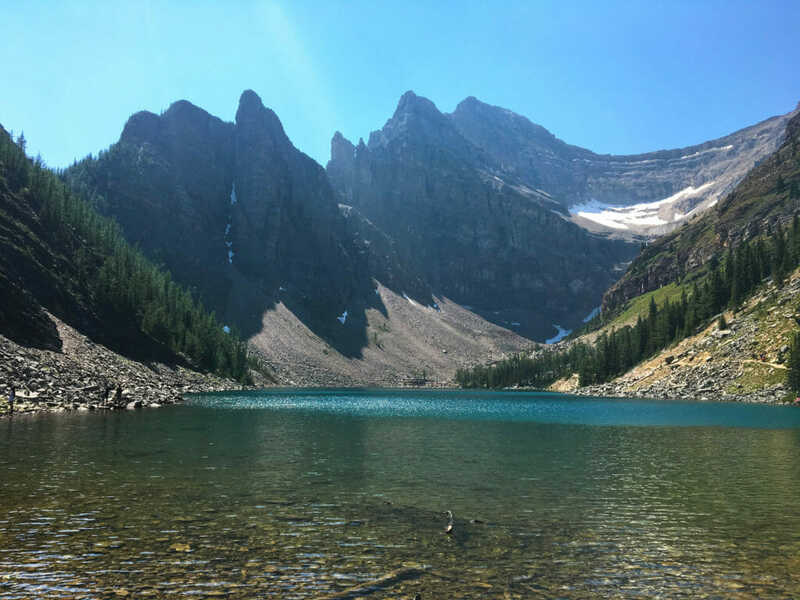 After Lake Agnes, it’s not that much further of a walk until you are confronted with spectacular views (and in my opinion, the views at the outcropping are much better than at Little Beehive itself). Make sure to stop at the viewpoints along the way to really take it all in. 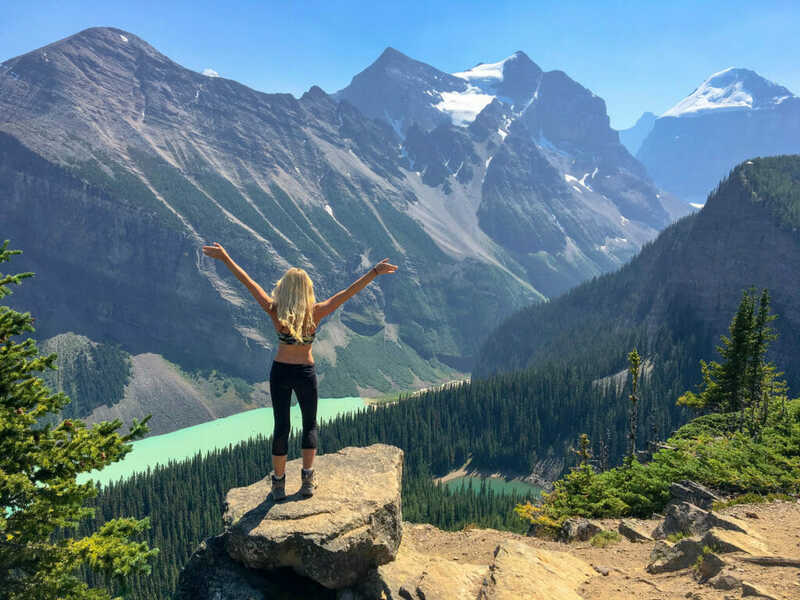 From these spots you can see Lake Louise, the Chateau, Mirror Lake, Lake Agnes, surrounding rugged mountain peaks and Bow Lake. Look how far you’ve come! From the outcropping it’s just a short ways to the Little Beehive itself. You can see the Rocky Mountain panorama and the landscape down below. After taking some photos and getting hydrated, it’s back the way you came! And, it’s all downhill from there. ​After the hike I stopped at the shores of Lake Louise one more time to reflect on how amazing my summer in Canada was. It went by too quickly, I thought as the sun began to set, illuminating the mountains as the sky turned into a pastel purple. The next time I would return, these vibrant turquoise waters would be frozen over, covered in fresh, sparkling white snow.